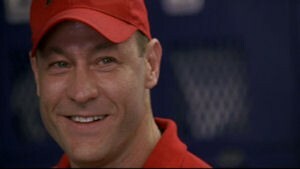 "There are two kinds of people in the world in terms of Friday Night Lights: There are either people who have seen the show and love it, or they haven't seen it. It's more that people haven't seen it, unfortunately." One year later, and I still don't have DIRECTV--meaning I couldn't watch the initial airing of Friday Night Lights' fourth season in the fall of 2009. And because I sometimes find it tortuous to wait a full week to watch new episodes, I also skipped the NBC airings in mid-2010 (knowing full well that this DVD set was being released soon afterward). But while watching Chelsea Lately in early June, a visit by guest Zach Gilford was preceded by a 30-second clip from a Season 4 show. Without any context or background, it forced a lump in my throat in about 10 seconds, soon followed by tears welling up in my eyes (I was man enough to not let them flow, but some copious nose blowing was necessary). 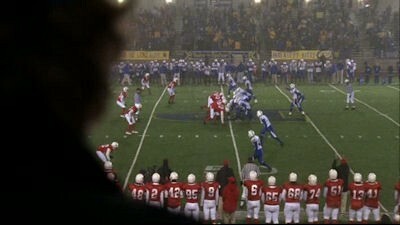 Damn you, Friday Night Lights...damn you! 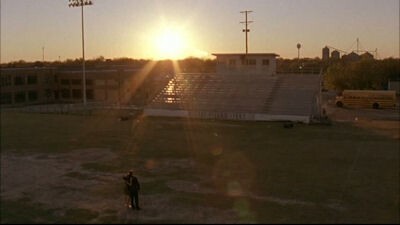 Season 4 continues to restore my faith in television, although not in network executives--I'm still stunned that NBC wouldn't give FNL first-run, full-season airings, but I'll gladly take 13 episodes over none. Because of that, the creators have been forced to slim down the scope of the show over the last two seasons; it's leaner and more focused, with a smaller cast. But while the scope of the games may seem a little smaller, the emotional impact of the series is as strong as ever. It's a testament to the superlative writing and acting that the show can weather so much cast turnover--usually the death knell for a series--and be just as successful. 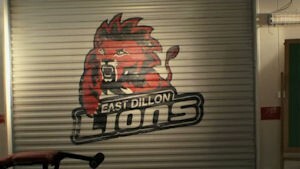 Coach Eric Taylor (Kyle Chandler) has been shipped off to the reopened East Dillon High, the skeleton of a school on the wrong side of the tracks. Faced with indifference from the principal, a lack of funds and a motley crew of inexperienced players on the small Lion squad, he's fighting an uphill battle from Day 1. He's not just trying to redeem the team, he's trying to redeem himself. But the perception by some that he's "The Great White Hope" threatens to intensify race relations in the school and community. Back at the newly christened "West" Dillon, wife Tami (Connie Britton) has become Public Enemy No. 1 after her efforts as principal helped forced the redistricting that has shook up the football landscape and angered parents. At home, the couple stays busy raising baby Gracie Belle and daughter Julie (Aimee Teegarden), who starts to wonder is she's holding back boyfriend Matt Saracen (Gilford)--the Panther graduate who turned down admission to a top-tier art school to stay in Dillon and care for his grandmother. 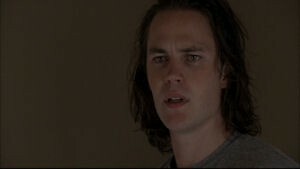 Meanwhile, former star fullback Tim Riggins (Taylor Kitsch) isn't long for college. He soon waves the white flag and heads home to help run the garage of his increasingly stressed-out brother Billy (Derek Phillips), who has a baby on the way. The seemingly unambitious Tim soon runs into a mother-daughter combo that may turn into trouble: Bartender mom Cheryl (Alicia Witt) lets Tim rent the trailer by her home, where neglected daughter/beauty queen wannabe Becky (Madison Burge) quickly develops a crush. 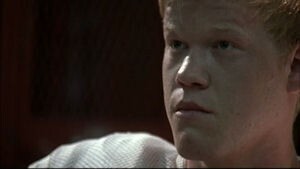 Back at East Dillon, Landry Clarke (Jesse Plemons) tries to adjust to his new school and team, but his eye is soon distracted by drill teamer Jess Merriweather (Jurnee Smollett). She also works at the barbeque restaurant of former Lion standout Vernon (Steve Harris of The Practice), who has since disassociated himself from the school and the sport. 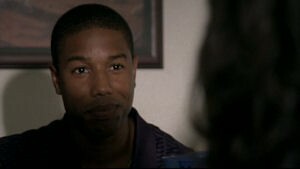 Jess quickly finds herself torn between Landry and the Lions' diamond in the rough, Vince Howard (Michael B. Jordan). She's one of the few bright spots in his troubled life: Not only is Vince's father in jail, but he's one mistake away from juvie himself. Mom Regina (Angela Rawna) is a drug addict, and his gang member "friends" constantly tempt him to the dark side. Vince finds more struggles on the field: He's uncomfortable with his new role model status and also clashes with standout runningback Luke Cafferty (Matt Lauria). A quiet yet confident kid from a conservative farm family, Luke struggles to adjust to his new surroundings after being forced to transfer from West Dillon. 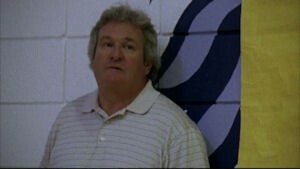 And back at Panther nation, booster Buddy Garrity (Brad Leland) struggles to adjust to the new team. That's the framework for the season, and the more left unsaid about plot developments the better. 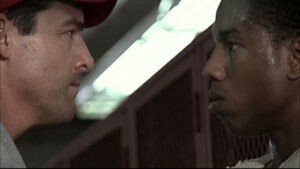 Although with Friday Night Lights, that's not really the point--what makes this show so amazing is its ability to tap into honest emotions as it explores human interaction and behavior. It's raw and real, the show's landscape filled with complex, relatable characters breathed to life by an extraordinary cast. We cheer for their success and feel pain when they ache, anger when they disappoint us, tears when they cry. We stare transfixed to the screen during crucial moments, our pulse pounding as we pray that they they make the right decision. These people are family, and the multiple layers in the actors' portrayals, the writers' pages and the crews' cameras seamlessly mesh to form a uniquely intimate experience that I can't compare to any other show. We're invested in every word, every expression and every action--not for any individual story's sake, but because we want to see these people learn, grow, succeed and be happy. While the show's smaller budget has made it more challenging, the writers still refuse to make anyone a complete bad guy (although one mother comes close). Even the ones who are easy targets--including Panther coach Wade Aikmen (Drew Waters) and Panther booster Joe McCoy (D.W. Moffett)--show us brief flashes of goodness. 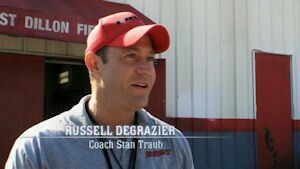 All of the new cast members make the most of their screen time, from large roles like Jordan's (who shines in the meatiest of the new roles) to more supporting players including Rawna and Russell DeGrazier as new Lion assistant coach Stan Traub--an excitable bundle of energy and one of the show's few sources of much-needed humor (he's my new personal favorite; I hope a Stan storyline briefly introduced here is expanded upon in Season 5). There are no small roles here, and you'll constantly be wishing every character had more screen time. But all of the actors make the most of their minutes, filling us in on so much of their characters' stories with limited time and words. As with every other season, special moments strike from nowhere--and with some of the most unexpected character pairings. The conversation between Luke and Tami in Episode 2 is one of many perfect illustrations of this show's brilliance, a complex scene handled perfectly. It's a shining moment for Lauria, who tells us so much about Luke in so little time. And, once again, I can't say enough about the show's heart and soul: Chandler and Britton (who finally received Emmy nominations after years of inexplicable stupidity from the academy). The two are not only inspiring on their own--watching Coach give his pep talks or Tami deal with the "Good Ol' Boys Club" at West Dillon are reason enough to rejoice--but together they form the greatest couple in television history. This is the kind of relationship everyone wants, and watching them interact--whether they're arguing with each other or sharing a smile--you can't help but marvel at their chemistry and enjoy their company. Like the rest of the cast, these two are real people, not characters. I'm happy to report that Julie is a lot more likable than she has been before, and Teegarden gets some great scenes to strut her stuff. 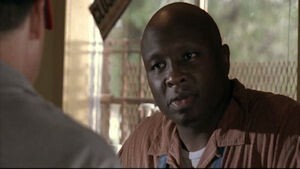 Gilford is listed as a guest star this season, but he appears in eight of its 13 episodes--so for all intents he's still a regular. There's no Tyra or Smash this installment--both are off enjoying college--and Jason is gone, too. But watch for an appearance from Lyla (Minka Kelly), who returns briefly during a break from school. I wish we got a little more time with Luke and his family, and I don't feel like we get enough "alone" time with Landry this season. Panther quarterback J.D. McCoy (Jeremy Sumpter) is perhaps the biggest victim of the shortened format and move away from West Dillon; he was far more multi-dimensional last season, but is mostly one-note this installment (he's saved, however, by a deleted scene in Episode 9; and speaking of those, sadly most of guest Lorraine Toussaint's scenes got cut). 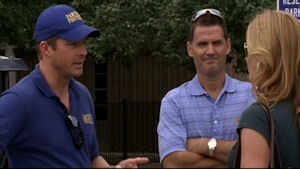 And a random nugget for viewers who don't follow football: that nutty guy who approaches Coach at the gas station in Episode 2 is Mike Leach, the former Texas Tech coach who was suspended (and eventually fired) for inappropriate conduct two months after the episode aired (kinda puts a new spin on his scene, huh?). This season isn't without issues. I can't fault the show for having its characters make decisions that anger me (oh Tim and Landry, will you never learn?!). That's refreshing, and makes them more human and relatable. Forgetting those instances (and there are a lot), a few things still bothered me this season. Matt's internship with a kooky artist doesn't feel like the best utilization of the show's valuable minutes, but at least it's a relatively short sidetrack. But we're asked to believe some behavior from him later that is so out of character and so unnecessary, I'm left dumfounded wondering why the writers chose to do it. They could have reached the same place in a much more believable way. And while the new characters situate themselves well, one is really, really hard to warm up to: Becky. 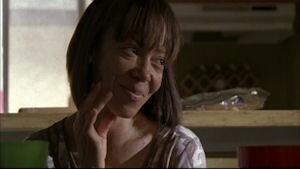 I have to accept that much of her low likability is intended (little lines of dialogue like "Did you do your homework? Can I copy it?" 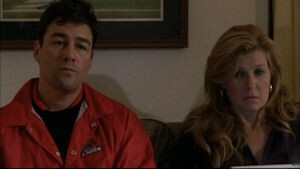 say so much, and every line of dialogue in Friday Night Lights serves a purpose). She's a frustrating character, perhaps a little too wounded--she deserves to be put in her place at least once, but a verbal smack-down never comes. But just when I think I can't stand her, we get a scene that shows some heart and I feel bad for disliking her (but then am quickly brought back again as she behaves like the selfish, immature child she is). 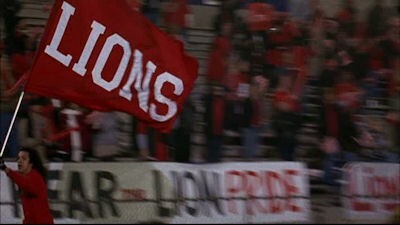 But that's life, and God bless Friday Night Lights for keeping it so real. Even with these quibbles, the show is of such high caliber, it doesn't detract from its power. And with the continued incredible work from the camera crews--who equally contribute to the making this series look like life unfolding--even the very minor parts I don't like still feel authentic. 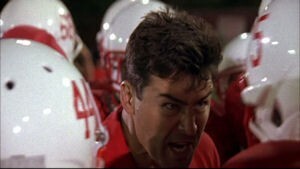 That brings me to the excitement on the field, where the action is just as intense and nerve-wracking. 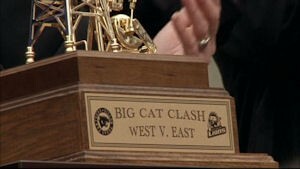 The energy leading up to the season-ending clash between the two rival schools lives up to expectations on the field, where the show continues to trumpet its core values. Friday Night Lights demands the most of its cast and characters, and in turn demands a lot from its viewers (I dare you not to invest in these people). It's a show about honor, respect, pride, faith and responsibility; about trying your best and doing the right thing; about the bonds of friends and family. If ever there was a series that made you examine your own life and become a better person, this is it. Be prepared: Season 4 is the darkest yet for the series, and some of the episodes are brutal onslaughts that attack your feelings without warning. I've never encountered a series that can strike so fast and so hard, leaving viewers reeling with an intense case of emotional whiplash. But it's all sincere. The aforementioned episode ("The Son") is draining, along with many other sequences and subplots throughout the season. This season has a lot of characters making some big mistakes and also tackles some pretty serious issues--I won't mention the biggest, but be ready for some serious passion to be stirred inside of you. 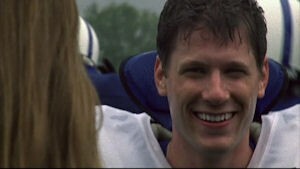 With Friday Night Lights, I wouldn't expect anything less. 1. 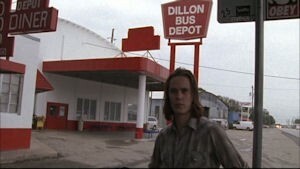 East of Dillon (aired 10/28/09) Includes six deleted scenes totaling 7:57. 2. After the Fall (aired 11/4/09) Includes three deleted scenes totaling 4:41. 3. In the Skin of a Lion (aired 11/11/09) Includes one deleted scene totaling :50. 4. A Sort of Homecoming (aired 11/20/09) Includes one deleted scene totaling 1:30. 5. The Son (aired 12/2/09) Includes four deleted scenes totaling 5:12. 6. 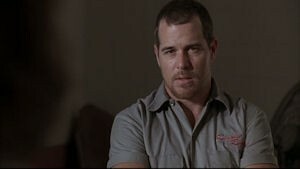 Stay (aired 12/9/09) Includes four deleted scenes totaling 4:56. 8. Toilet Bowl (aired 1/6/10) Includes two deleted scenes totaling 1:46. 9. The Lights in Carroll Park (aired 1/13/10) Includes two deleted scenes totaling 2:30. 10. 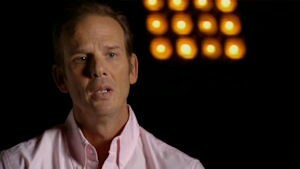 I Can't (aired 1/20/10) Includes three deleted scenes totaling 4:34. 11. Injury List (aired 1/27/10) Includes one deleted scene totaling 1:21. 12. 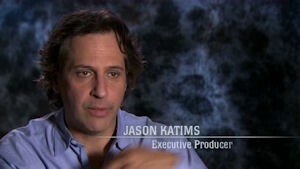 Laboring (aired 2/3/10) Includes four deleted scenes totaling 6:42. 13. Thanksgiving (aired 2/10/10) Includes seven deleted scenes totaling 6:37. The anamorphic 1.781 are faithful to the broadcast versions and intended look of the shows, which has always offered that "documentary like" look and feel. The show is visually dim, not very vibrant or colorful (it's bathed in autumn tones) and has plenty of grain. Close-ups reveal nice detail. The 5.1 track is also good; a few random lines of dialogue sometimes require concentration, but it's never a problem. The rear channels come to life the most in the game sequences, with modest sounds filling them out in the show's more predominant "quiet" sequences. Subtitles are available in English SDH. "This show has the most honest moments as any other show on television...that's what I think TV lacks nowadays. There's not enough honest moments, and this show captures that." New Faces, New Places (7:32) focuses on the challenges the writers and actors faced breathing life to the new blood. Katims notes that with so many main cast members gone, it was time for a radical change--hence the move in schools, which allowed them to easily introduce new characters. The challenge was getting viewers to invest in them, so he tried to pair the four central newbies up with established characters in the story. This piece talks to the four new main actors save for Jurnee Smollett, and like the rest of the bonus features I wish it was longer (and I really wish we got to hear a lot more from Kyle Chandler and Connie Britton, who get minimal screen time). 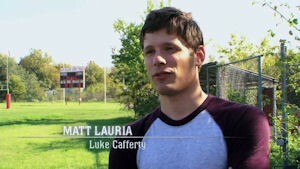 Still, I enjoy what we get--especially Matt Lauria's story about his audition. 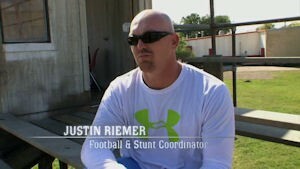 Playbook (4:42) has the cast and football/stunt coordinator Justin Riemer talking about filming and choreographing the plays on the field. "You learn quite quickly that, 'No, I don't want to take a hit from a 260-pound ex-NFLer," says Taylor Kitsch. 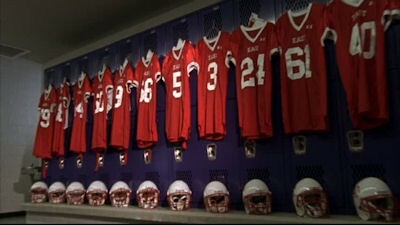 The segment also briefly explores the building of the new field. Another great inclusion is the audio commentary form Katims on the season's first episode. It's a nice listen, although I wish he had a commentary partner to help out. He expands upon the challenges of the new season (especially writing the first episode), including integrating new characters, new developments and a new field--and how this season was basically reinventing the show, with the first episode almost being like its own pilot. He also talks about how the show tries to tackle some heavy issues in its own unique way, and praises the two leads: "Kyle and Connie have created a relationship that si just so sublime and beautiful and something that is a marriage that is just always compelling to watch, whether they're dealing with some big, big issue or whether they're dealing with whose turn it is to do the dishes. Anything that they do is interesting because the two of them have brought such a beauty to not only their own characters but to that relationship, and they honor that relationship so much." The three Peter Berg Intros (totaling roughly 4 minutes) have the executive producer talking about his return to the directing chair (he helmed the first episode of the season, his first effort since directing the series pilot), the shooting style and the new season. A total of 38 deleted scenes are also included (see Episode Guide above for more details). I really wish these could have just been added back into the episodes; while a few are wise cuts, most would have made great inclusions in the episodes (and some "connect the dots" better). It's a great collection. Having not seen the initial DIRECTV airings, I don't know if these were incorporated into longer episodes, or if any other material is missing. Trailers round out the package. I have a feeling I'm preaching to the choir here. 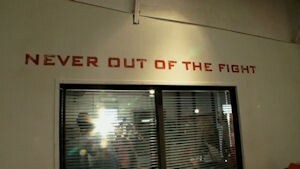 If you're a FNL fan, you don't need me to tell you that Season 4 provides more of the utmost excellence we've come to expect. If you haven't checked it out yet, what are you waiting for? No other show come closes to provoking such passion, and this inspiring series is without parallel. Highly Recommended.